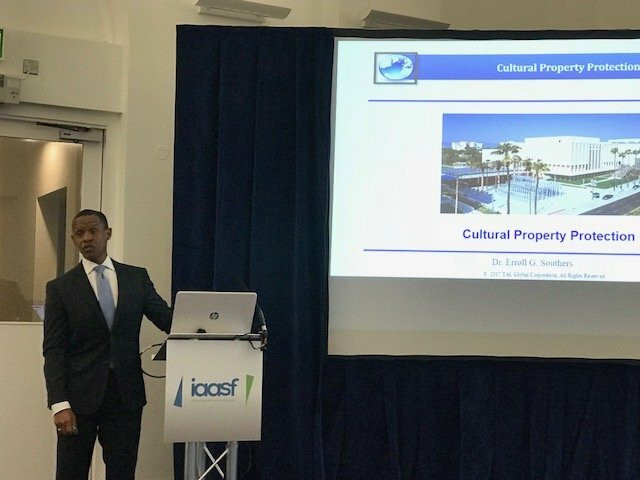 On Wednesday, November 29, 2017, Dr. Erroll Southers, TAL Global’s Managing Director for Counter-Terrorism and Infrastructure Protection, gave a keynote speech titled: “Protecting Cultural Property” at The International Arts & Antiquities Security Forum (IAASF). This is the only event dedicated to the protection of arts, antiquities and cultural heritage, and to providing professionals involved in the protection and safe custody of buildings, artifacts and cultural events with an understanding of existing and emerging threats that the sectors face. Thursday, November 30th, 2017, Dr. Southers will present another keynote speech, introducing Terrorist Decision Making (TDM™), an innovative technique developed by TAL Global Corporation to enhance the security provided by “red teaming” and “tabletop exercises”, by reverse engineering the target selection process, putting the intended victim(s) in a position of seeing their asset or organization through the eyes of the attacker. Come meet our team of experts, at UK Expo 2017, Stand E10. Previous PostFarewell to UK Security Expo 2017!